Gibson USA is celebrating 2013 as the Year of Les Paul. The Les Paul Future Tribute captures the look, feel, and tone of the guitar world’s most legendary single-cutaway solidbody, and equips it for the player of the future—making it available today. Gibson’s acclaimed bridge and tailpiece team up with futuristic Steinberger™ gearless tuners to ensure smooth playability and precise tuning and intonation. 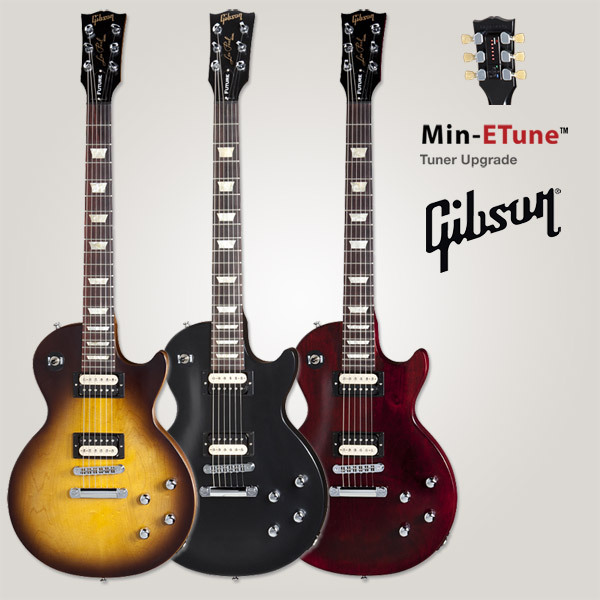 And, like all Les Paul and SG 2013 Tribute Series guitars, the Les Paul Future Tribute is available upgraded with Min-ETune™ automated “Robot” tuners for a nominal upcharge. Primed for optimum playability and versatility, the Les Paul Future Tribute carries a pair of “zebra-coil” ’57 Classic™ humbucking pickups for a blend of vintage warmth and contemporary articulation, along with a superbly comfortable custom asymmetrical neck profile. Like the Les Paul Future Tribute and want to see it in the Hall of Fame? Rate this guitar now (click on the stars below – 1 star = don’t like, 5 stars = love it! )… at least 50 votes with over 75% average rating gets this guitar into The HoF – the Guitar Planet Hall of Fame and from there into the Guitar of the Year award.